Taken at Blists Hill Victorian Town last week. Finished today. Instant fav. Those colors and reflections immediately struck my eye. Fabulous, Alison! Fabulous. Wonder colours and light. So well composed, I even love the little plain glass for it's shape among the vibrant colours. I like how you have caught the reflections in the glass too. Now this is a unique photo! I love it! Beautiful - fav for sure! So well seen. Great shot and I love the colours. Well spotted Alison! Love those refelctions! A clever image! Perfect tight crop to show the colours, shapes and reflections off. Fav. Wonderful colors and reflections, Alison. So well composed and captured. Very cool, love the colours, reflections and framing Alison. Wow! Terrific idea. I love the colors and the reflections . It's great how the reflections tell a story. I'm not sure which is more interesting - the fabulous clear bright colors or the neat reflections. Wonderful shot, Alison. The composition and crop is very good, but it's the colours that really stand out. That red flask is simply delicious to the eye. Beautiful colored glasses, I'm a sucker for colors like these. FAV. Too awesome, great find, great colours, great reflections, great overall capture. Instant FAV! Fabulous colors and reflections! A lovely colourful capture of the demi- johns and great reflections!! Fav!! Beautiful reflections in this great composition. Love it. FAV. I really like this. Love the composition and the reflections and the colors. Beautiful and interesting shot. Fav! 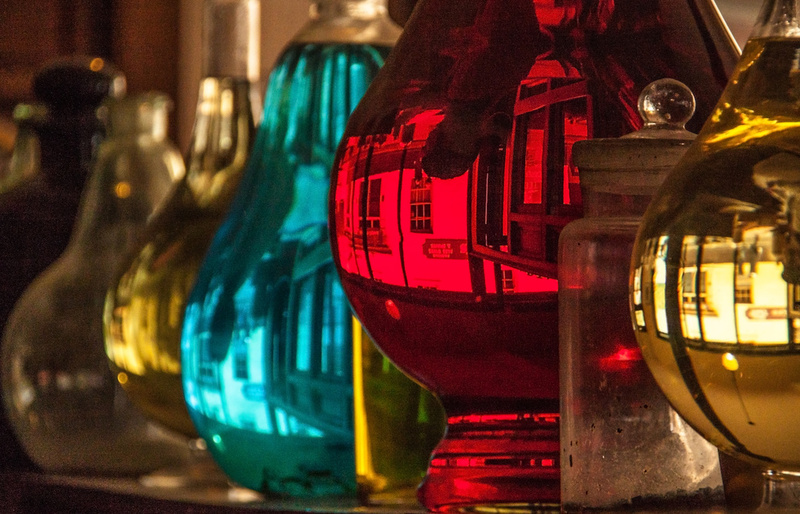 Love this picture.Very interesting.I like the colors,shapes of the flasks and the reflections you have caught. Wonderful! I love the reflections and what you found in these! Color, reflection, what can i say, well done.